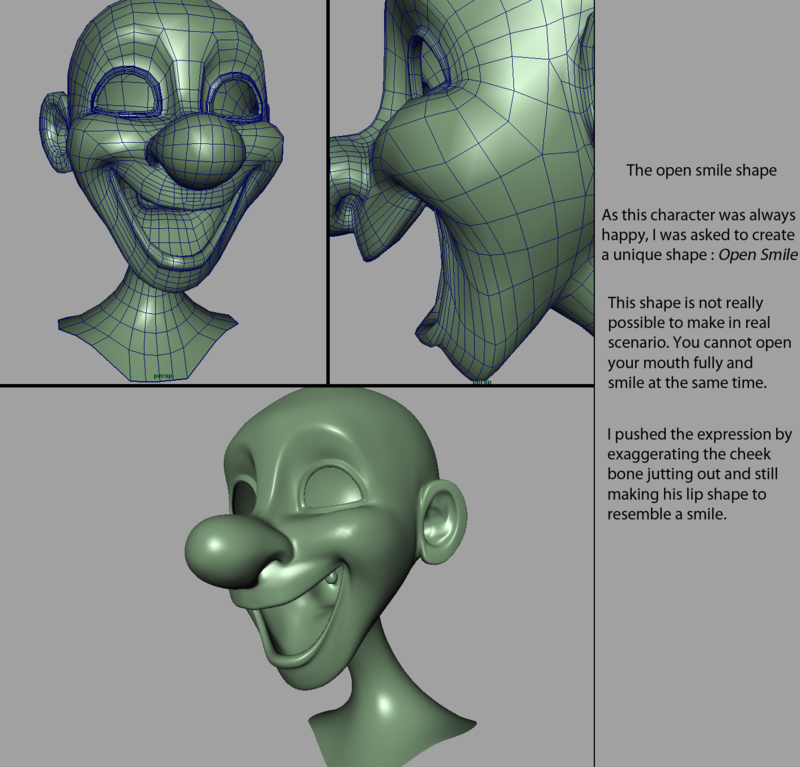 Chuck was my second blendshape character. I did this while working for Traceback studios, for their short film, OnePerPerson. I learnt a lot through this process. Many techinques I had used for the previous character proved to be not so easy or wrong. 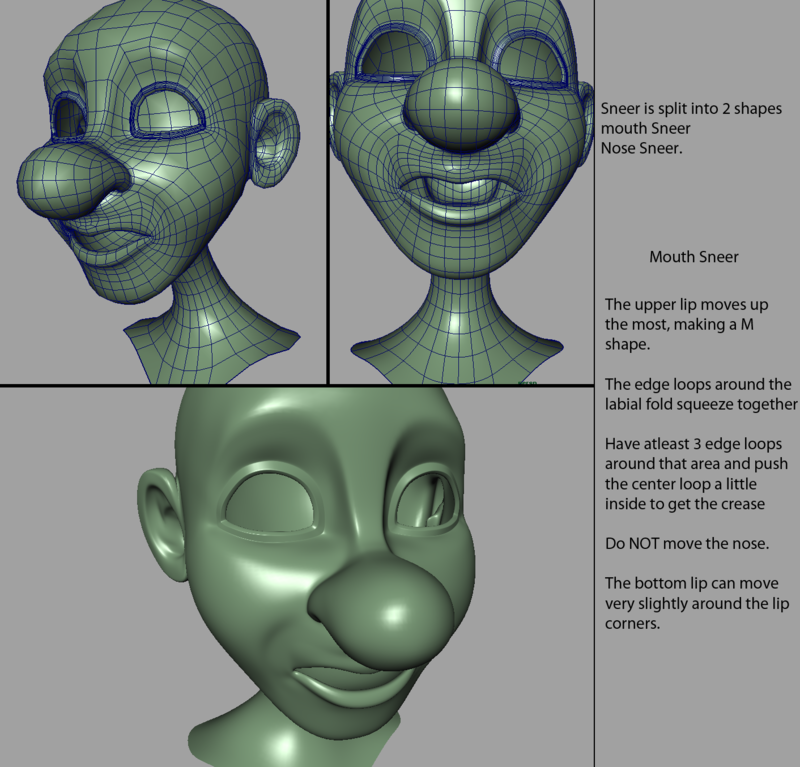 I ended up developing a very good workflow for doing the blendshapes. I mainly used Maya with Mudbox to do all the shapes. 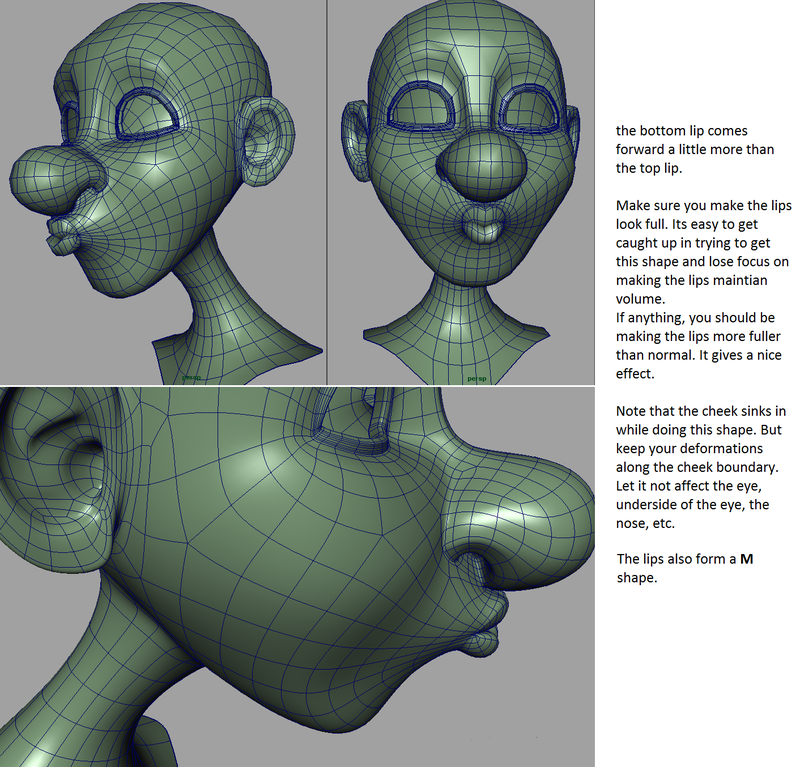 There is already a discussion posted called ‘Maya-Mudbox-Maya’ that talks about the workflow. So, I wont go into the details of creating the shapes here. I am just going to put up screen shots of the different shapes I worked on and finally an animation test to show the blendshapes at work. For this character, the shapes were pretty limited. The reason was the characters emotions were pretty well defined for the entire film. So, there really was no reason to build shapes that you would never want. He is a guy who is always happy. Maybe a bit too much. But then he also goes through a small patch where he is concerned for an other person and also feels sad later on. I built these shapes based on the basic shapes listed in Jason Osipa’s ‘Stop Staring’. 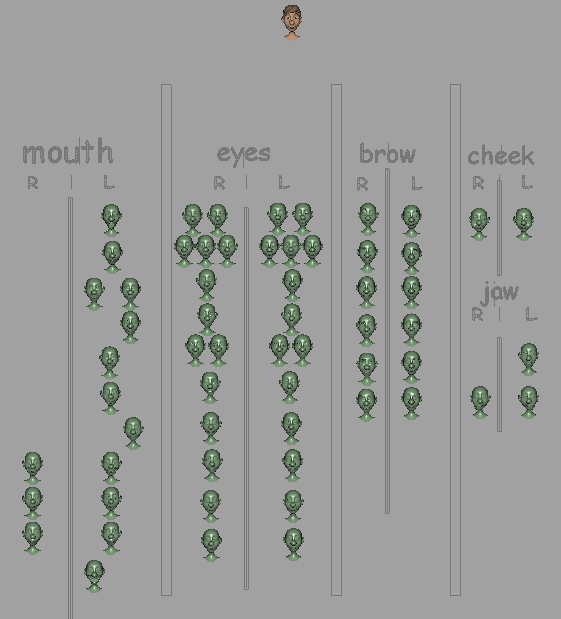 So, by creating just these few shapes, you can see the range of emotion that can be generated.